Where dogs love to be dogs and us humans love to love them for it. Creating the best stay ever doesn’t come easy. 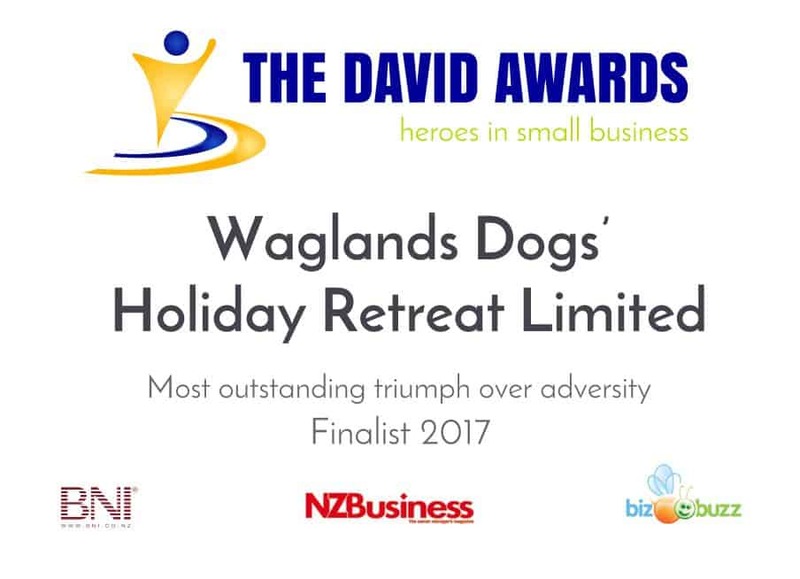 Over the years we’ve watched, listened, trialled and adopted the ideal practices to make Waglands the place dogs love to stay. We take pride in what we do – our location, our premises, our facilities, our team and the wholesome experience we share with our guests. 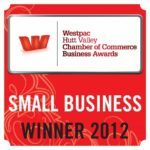 In 2009, high on the hill tops overlooking the Hutt Valley sat a rickety old dog-stay. To most people, it looked tired, run down and almost forgotten. But not to us. We saw past the buildings and material objects. 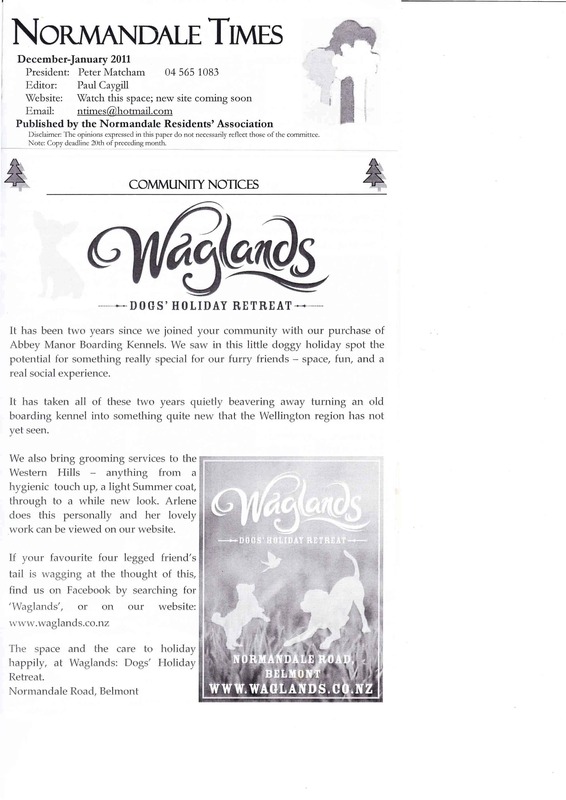 What we saw was the most fun, most attentive and the most sought after dogs’ holiday retreat in the Wellington region. We saw how the spectacular hill-top destination could transform into a place where dogs’ owners would love to let their companions stay and where dogs would never want to leave. With a background in Engineering and Health Science, Ben is co-owner and the brains behind the constant improvements at Waglands. He can’t help himself! His love of animals brims over too. 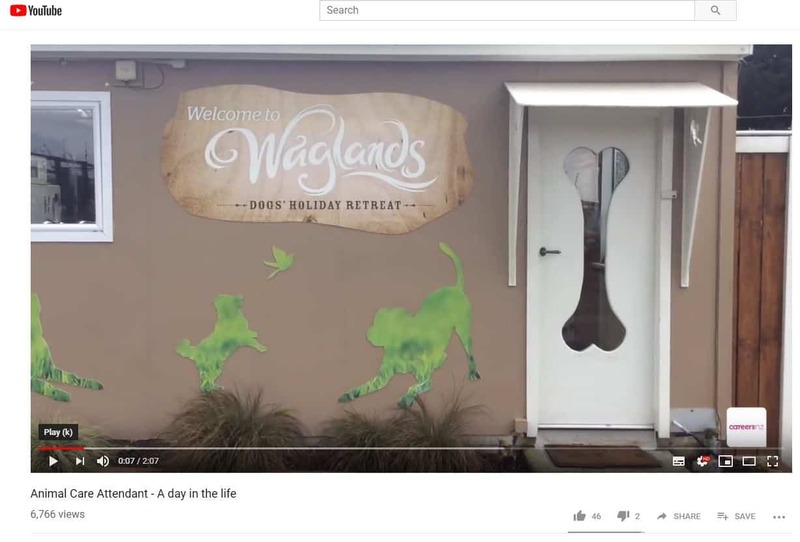 Along with his passion for Waglands he finds time to lecture at Weltec Animal Care and Vet Nursing school and be an advocate for animals within the NZ Companion Animal Council. 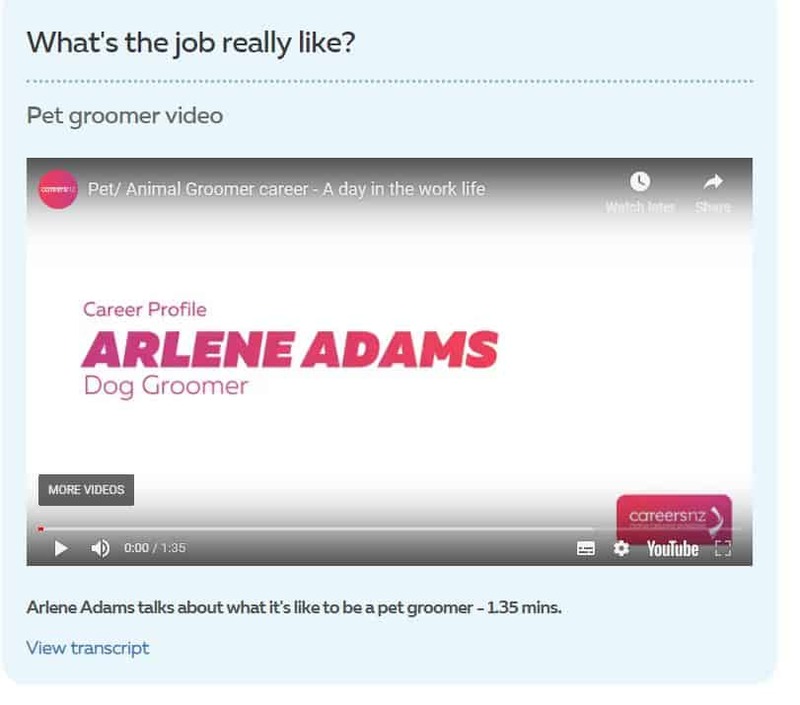 Arlene grew up in a dog mad family. 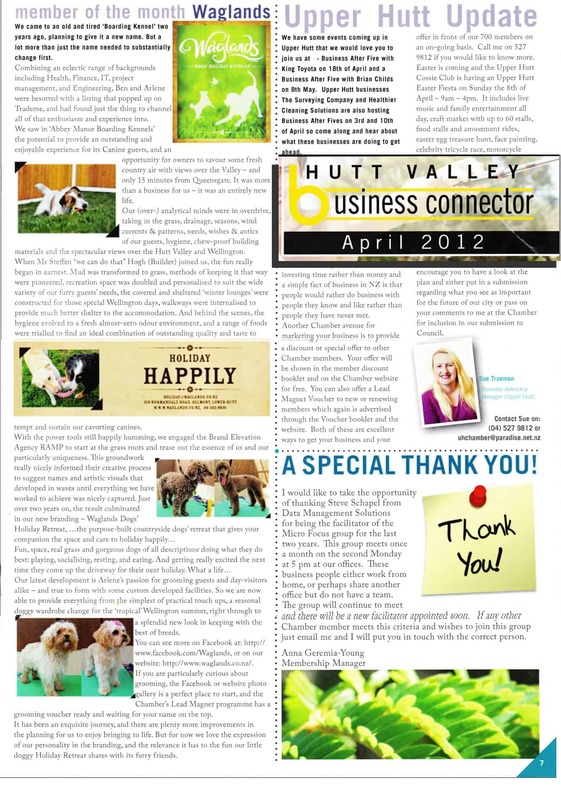 Breeding, nurturing, and performance training were combined with co-running the family Pet Shop. 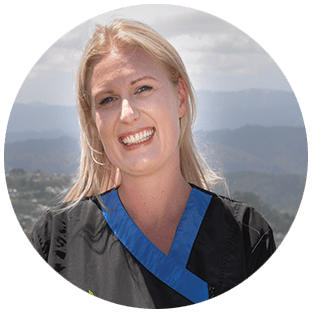 Then a career as a Business Analyst and Project Management set her up with the business skills she needed to build the Waglands dream with Ben. Arlene is also one of NZ’s few fully qualified NZ & Inter. 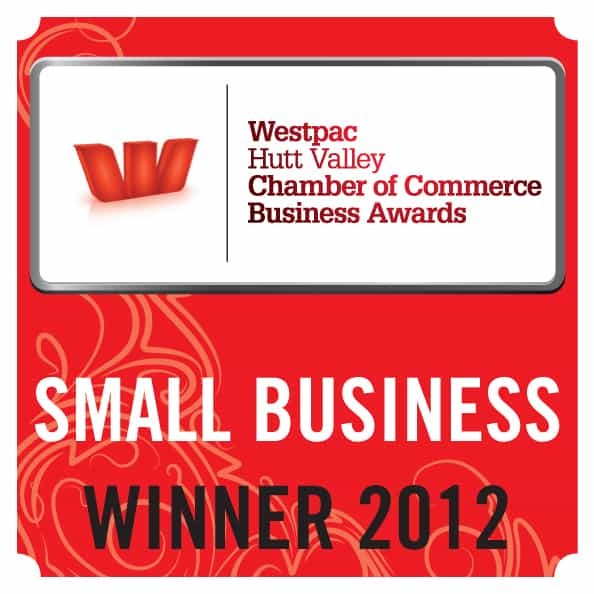 master groomers, an international award winner, and previous NZ Groomteam member . Who takes care of our guests? Each member of our team is an absolute hero, working really hard behind the scene. 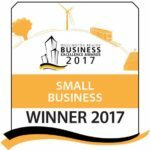 We employ permanent, experienced people rather than casuals, always looking to get to know returning guests better from holiday to holiday. We specifically look for maturity, drive, dedication and collaboration in our team members. 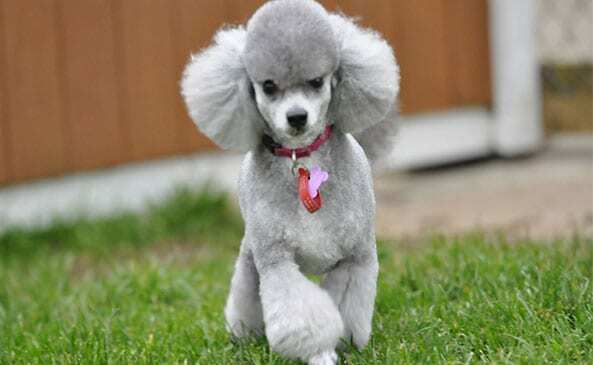 Tinni’s passion for dogs started early, growing up on a property in her native Sweden with many dogs of various breeds. 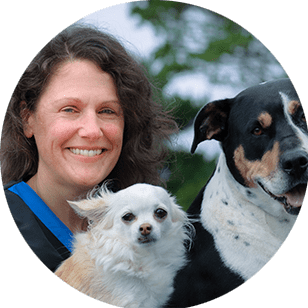 Waglands provided Tinni with her first opportunity to combine her love for dogs and work. In addition to her time at Waglands she is also a part-time administrator in Wellington. 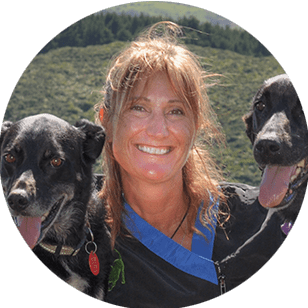 Since moving to NZ in 1995 she has been heavily involved in community work. 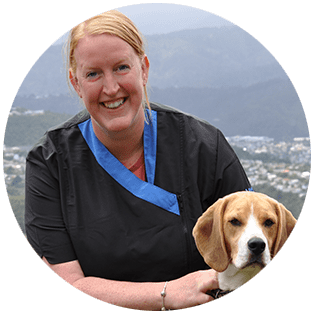 Cynthia came to Waglands following five years of working as a Porse in-home Childhood Educator, and has also worked with in-home pet feeding in Palmerston. 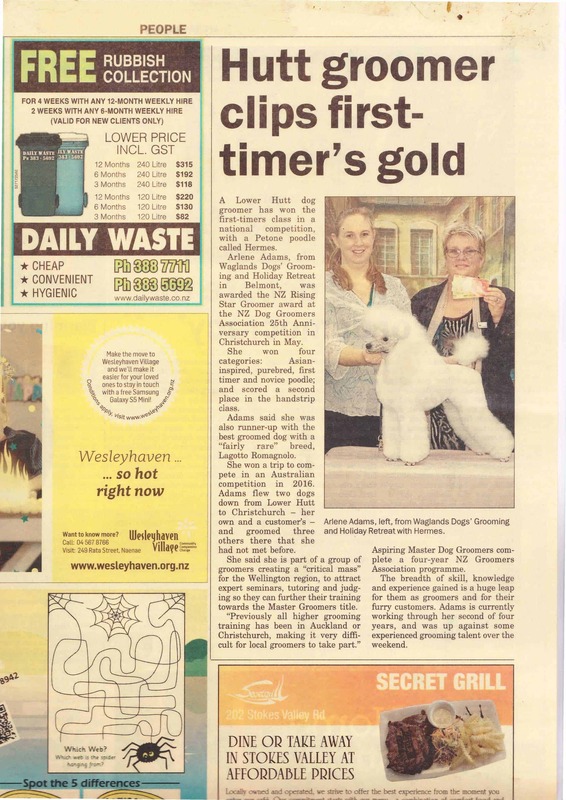 Cynthia has also volunteered for the SPCA in Auckland. 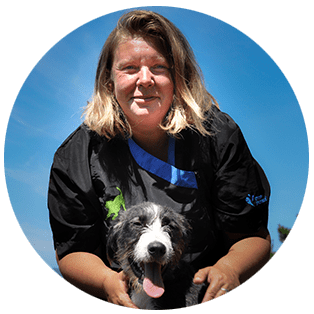 With an absolute love of pottering around outside in her garden with her two and four legged family, Waglands is a natural extension of Cynthia’s life. Sue moved over from the UK in 2007 and after a series of jobs in hospitality, joined Waglands. She grew up in households that always had dogs and cats and enjoys nothing more than long bush walks with her dogs. Sue’s family now has two cats an assortment of chickens and her two dogs – Gypsy the heading dog and Kizzi,a HUHA special. From an early age, Lumas made himself quite at home at Waglands. 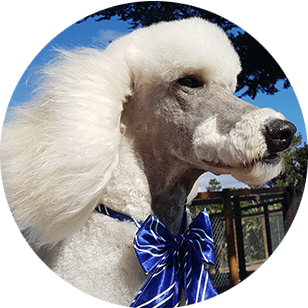 His generous and outgoing nature is shared between the recreation areas and grooming room, where he fulfils his important role of delighting four legged arrivals with his enthusiasm. He is also Arlene’s grooming creative Muse and amazingly, still finds time to update his Facebook page occasionally. He can virtually be befriended as “Lumas Waglands”. Jane is a native organiser, and her wonderful thoroughness and organising skills worked alongside families to help clean and raise children while her family was also young. While Jane joined us to help us cope with combining family and Waglands, she soon found her talents were so well suited to welcoming and fare welling our guests with warmth and care. Jane is a keen gardener, organiser, and wonderful Mother when she isn’t helping our furry community. Alex was fully involved with her family training guide dogs as a child. 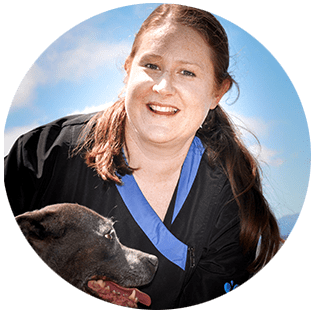 She actively applied her tertiary training in Zoology and Zoo Keeping to the benefit of the SPCA and boarding kennels in Auckland, where she met her gorgeous little dog Nugget. For Alex, volunteering at animal shelters over her European OE was a highlight. Midweek she runs her own dog Walking business (Down with Dogs), and spends her weekends applying her dedication to our guests at Waglands. 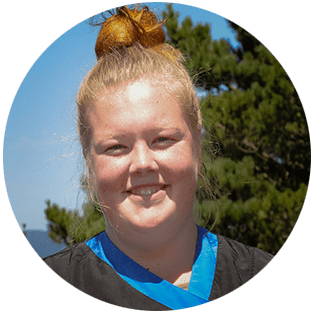 Joining us as a young school student to help with lawn mowing and ground keeping, Annabel is one of our key support people, magically appearing and tackling an astonishing amount of lawn mowing and ground repairs, allowing us to give our guests a play surface that is simply the best for them. Annabel’s other interests are competitive yachting, and dance. Ruth joined us fresh from Yorkshire in the UK. She is Beagle mad, loving all things Canine from a very young age. Coming from a high pressure background as a chef in the UK, she loves being immersed in each busy day of caring for all our guests up at Waglands. She shares her house with Baxter her Beagle, Rooney the Cat … and her Husband. 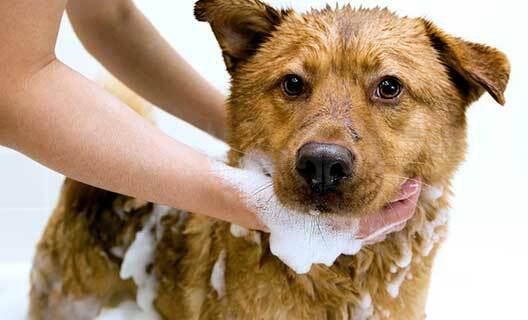 Mandy is usually seen welcoming our guests and their owners with her calm and genuine presence. With qualifications in zoology and vet nursing, she comes from a strong dog and family background, sparing so much of her precious time and skill having been a president of her local Playcentre, and the librarian at the local toy library while bringing up her young family. Amazing! She lives with her dog, Coach, three kids and husband Mark. Coming from a background in caring for Greyhounds, Grace is one of our two key support people, lending her observations and assistance to our team wherever they are needed. She can be seen absolutely anywhere looking after our guests, our facilities, and our team. 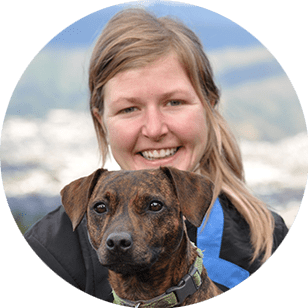 Emily’s academic dog-related career has taken in Animal Care and a Bachelor of Animal Welfare & Management. 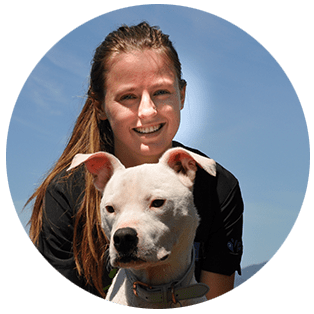 Moving down from Auckland from her role as a customer support front person in the SPCA, Emily was looking for a role that took her back to her active background in hands on caring for dogs in Dog Daycare environments. 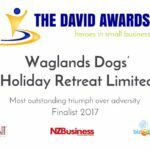 In Waglands, she found all of that busy activity, and hands on engagement with channelling her motivation, insight and experience to the needs of our furry guests. Emily has an SPCA special named Bentley and is active in kitten rescue and rehoming. Diving back into the workforce following parenting, Amberley really doesn’t see this as ‘work’. Quite at home in her role as a welcoming and farewelling Customer Specialist, Amberley’s experience and talent for the systems and communication that are a key part of helping all of our guests be beautifully prepared is matched with her big friendly personality – and the love of seeing that magic reunion of our guests with their families. Amberley has an adorable Labrador called Jack. Fitting some playground maintenance in after school is a weekly engagement for Nate. Nate’s work helps us have maintained grass spaces, that our team can keep clean, and avoiding the flowering of mature plants in the lawn that are more likely to be allergenic for our guests health, safety and happiness. 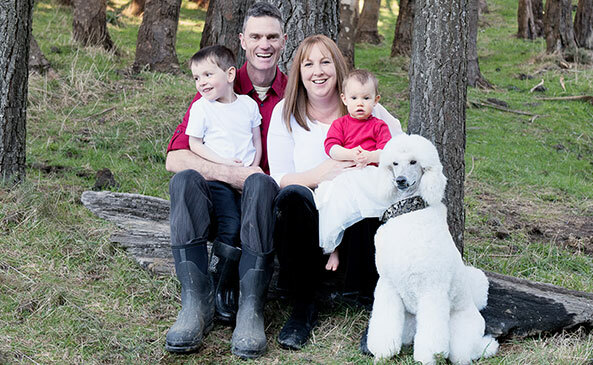 Angela is a veteran at looking after cats, kids, and even grandkids – and anyone else who needs some help. 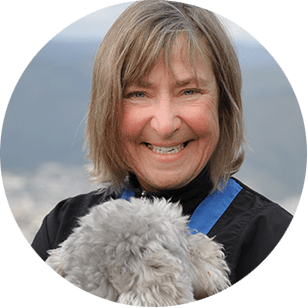 For decades she has fostered litters of rescued baby kittens for the SPCA and various rescue organisations, feeding them through the day and night as needed. Her enthusiasm for sharing that caring is infectious, and she has really dived into life at Waglands bringing all of her dedication and nature with her. Angela has two gorgeous dogs called Prudence and Hazel. 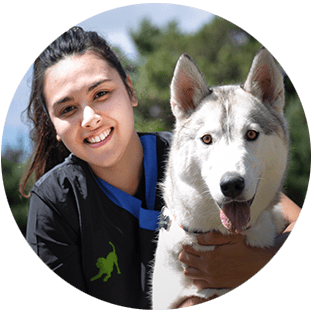 Changing tack in life from managing teams in the hotel industry, Kat aspires to dive into the study of Animal care and welfare. 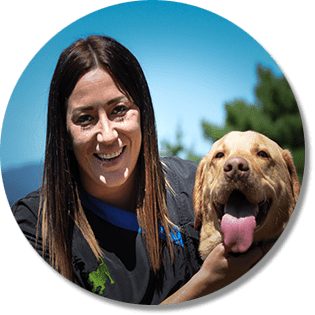 Waglands combines the best of a family work environment she has enjoyed of the smaller hotels, with her desire to dedicate her work to the furrier and four legged guests of the hoteling world. Katrina is one of our wonderful and diverse assistants in our team, fitting in and supporting wherever needed with her lovely characteristic helpfulness. Kat has a lovely Husky named Kyzer. 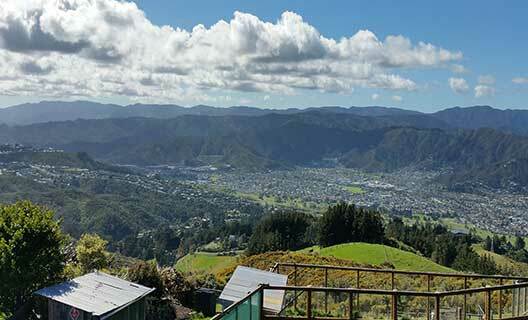 Imagine a spectacular place, 10 minutes from Petone, that transports you into the countryside. 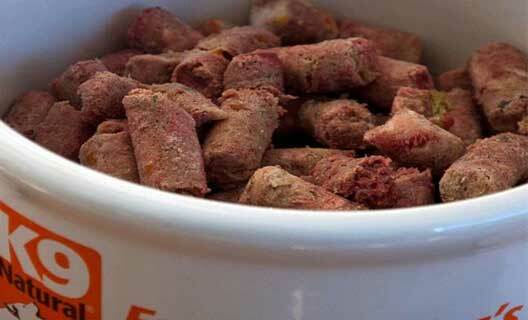 Where dogs can enjoy a lovely holiday, with space, privacy, good company and delicious food. 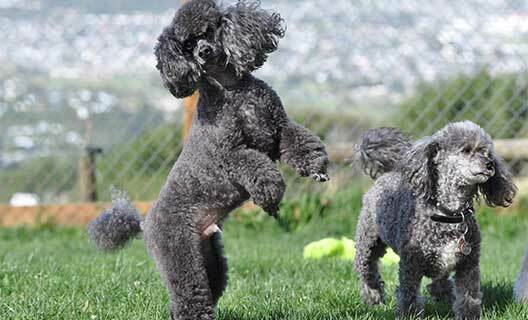 Fully engaged owners live right there on site, cultivating the most attentive team of active and observant dog-loving people– together creating standards of excellence that win them awards. And next time, your dog gets excited just coming back up the driveway, as … they know very well … it is all about them. 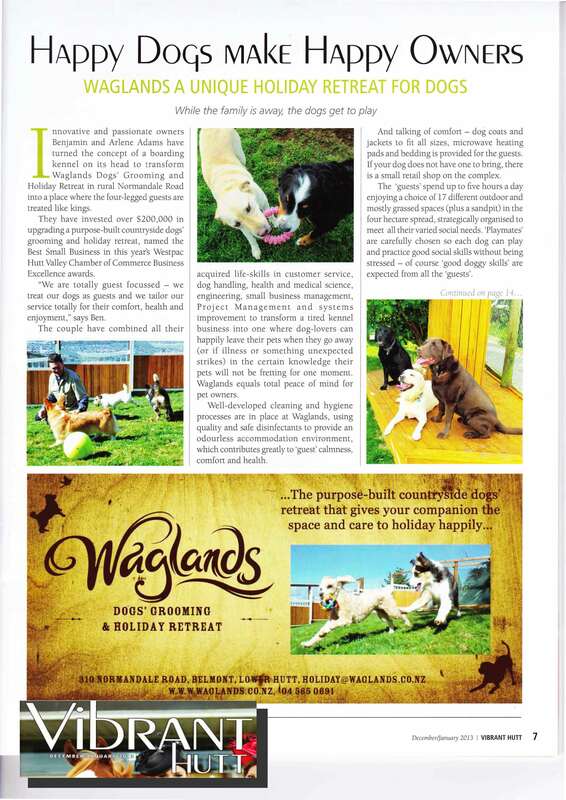 This is the dream we had in 2009, transforming a dilapidated ‘boarding kennel’ into Waglands, Dogs’ Holiday Retreat. We enter awards because we aspire to be the best at what we do, and the discipline of entering helps us keep thinking about constant improvement and pausing to recognise just how far we have come from such humble roots. We get great feedback from judges who are well placed to share improvement insights. 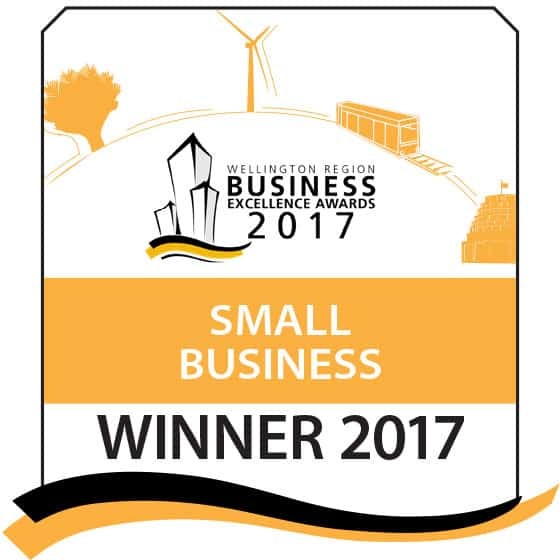 And also because we are so proud of what we do – we want our team and our clients to see what hard work and passion can achieve. 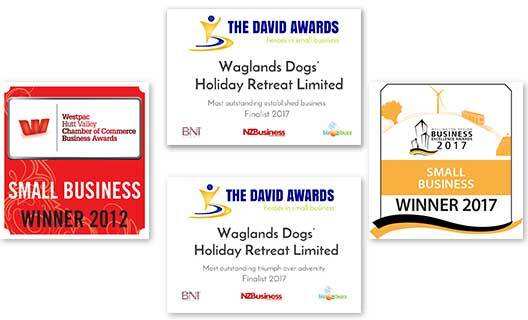 Here are just some of the awards we’ve received. Click on each image below to view the articles. 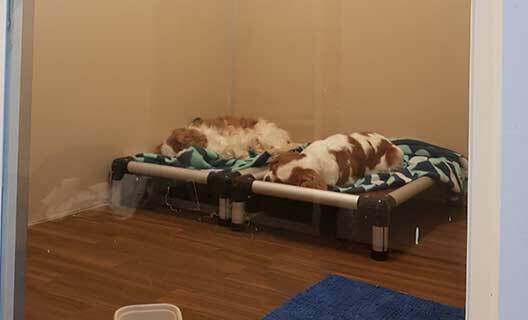 We saw how the spectacular hill-top destination could transform into a place where dogs’ owners would love to let their companions stay and where dogs would never want to leave.We saw a place that let dogs be dogs. Where they could relax, socialise, run and play. With our deep love of dogs and strong understanding of their needs, we got to work. We shaped, we built, we sewed and we moulded. 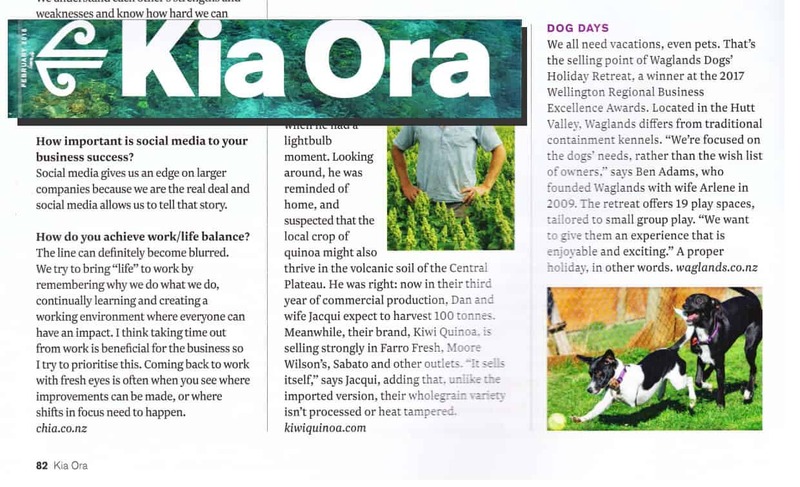 We knew that to make the best dog holiday destination we needed to have the dogs’ best interests at heart. Our approach attracted a lot of guests. It also attracted a lot of people who wanted to join us and help create our vision. But we’ve been fussy – our guests deserve nothing less. 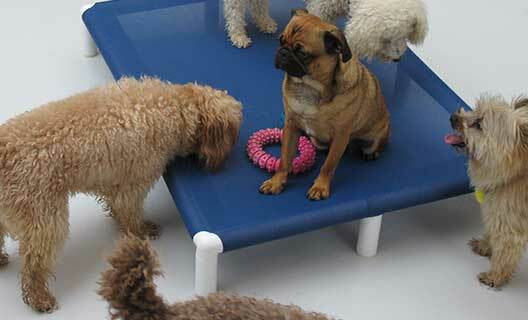 It takes a special person to be able to join our dogloving family. Now, with a passionate team and a purpose-built environment, we’ve become the holiday destination for the dogs of dog lovers. We get dogs. We know what’s important to them and we take the time to understand what makes each of our guests tick. Our high attention to detail from nutrition, to rest, to play meets the needs of our guests as individuals and in groups. We focus on the social and well-being needs of each of our guests creating a calm, fun environment. 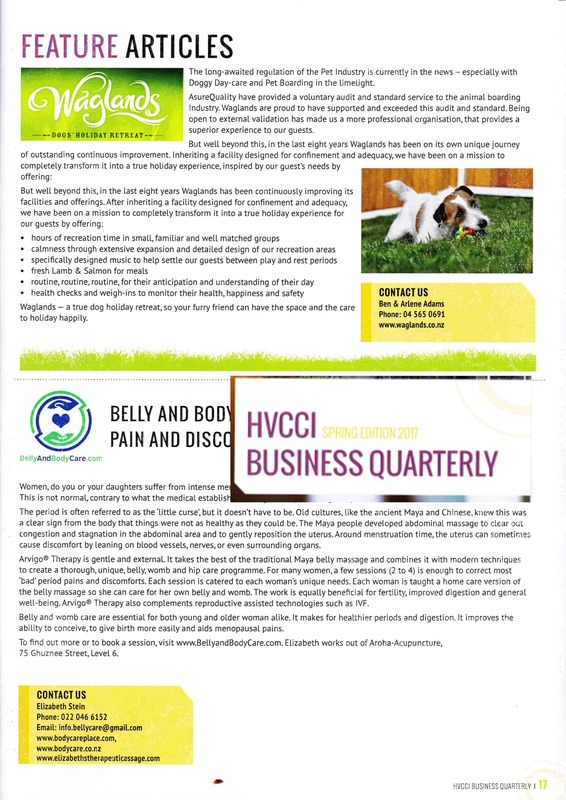 We’ve partnered with some of New Zealand’s top dog nutrition companies to ensure they have a perfectly balanced diet that meets their needs. Our project has turned into a great big family lifestyle and we wouldn’t have it any other way. 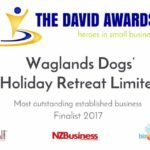 The Waglands family has grown to include a passionate team of expert dog-carers, and group of guests who make every day a joy. 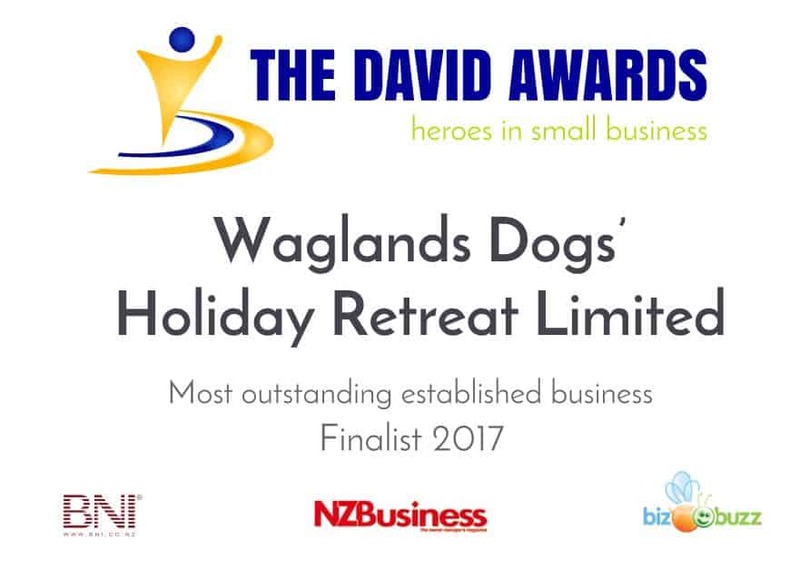 Whether it be long stay, short stay or just a daystay for a delicious wash, Waglands is the only destination that’s designed completely around the individual needs of your dog’s sense of well-being.